Analytical Armadillo: The Baby Show Involved With The Arms Trade? 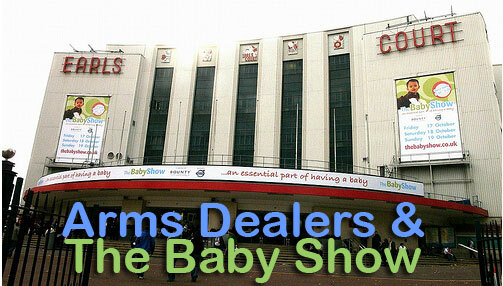 The Baby Show Involved With The Arms Trade? Have I been living in a cave? For the first time in a long time today, I spent what seemed like an eternity doing my goldfish impression. Then I did some more "goldfishing." Then I wondered how on earth I had managed to not hear about this before, because it seems to many its old news. I'm blogging in case any fellow cave dwellers had managed to miss this too - I can't quite believe as many people would promote the event as do if this was common knowledge? "The trouble is, I highly doubt anyone IBCLC level would touch The Baby Show with a barge pole, with it being a Clarion event. I have been having this continual internal monologue about if it would be better for an ethical company or speaker to turn a blind eye to the arms trade links and reach out to the masses in the 'mainstream', or if actually I respect the companies/individuals more for sticking to their ethical and moral stances." Huh? Back up the truck! Arms trade links? "Clarion Events, recent owners of the DSEi bi-annual arms fair in the Docklands have obviously lost track of their common sense and moral compasses. In a move which can only be described as totally bizarre, the events company decided that their other shows such as "The Baby Show" and "The Spirit Of Christmas" would be beautifully complimented with a few Arms Fairs. Their recent links to the arms trade have seen Baby Show sponsors Bounty jump ship and charity Unicef refuse to accept the door money donations they had been promised." "In 2007 DSEi's former owners Reed Elsevier finally announced it would sell DSEi after a successful public campaign forced it to admit that "defence shows are no longer compatible" with its position. But despite the continuing public condemnation, a buyer finally came forward in the shape of Clarion Events, who bought DSEi and two other arms fairs in May 2008. Clarion Events was new to the arms business, with its exhibition portfolio focusing on consumer and business - to - business trade shows, including The Baby Show, The Travel Show and The Spirit of Christmas. Clarion seems to have developed an appetite for arms fairs - it has bought six more in the space of four years. In a clear statement of intent, Clarion has even become a member of the Aerospace, Defence and Security group - the industry body for the arms trade- and set up a special company called Clarion Defence and Security to manage their collection of arms fairs." I wonder if speakers at the show such as Alison Scott Wright, Clare Byam-Cook, Jo Tantum and Annabel Karmel are aware of this? Numerous blogs and parenting pages give out free tickets to the event, do they know? Lists of exhibitors adorn their web page, do they know? Perhaps I'm naive in feeling people wouldn't find babies and bullets to be an appropriate combination - but surely ethics aren't completely dead? If you have more information regarding the above, ie something to show the pages linked to aren't correct - please get in touch! RELATED POST: Does It Matter The Baby Show Is Linked To Arms Fairs? Sadly I don't think any of those speakers would give a toss! How disappointing that they've removed your blog post. Much goldfishing going on here. I am absolutely stunned! I had no idea either til I saw some stuff on fb yesterday. Completely bonkers and utterly disgusting! Thanks to Sarah Ockwell-Smith of BabyCalm for bringing your blog and other info to my attention. I was going to go with the intention of checking the viability of exhibiting our How Babies Learn course at the next event, and to meet all of the baby magazines people in one place. Also very excited about hearing Professor Winston speak as our courses are linked very closely to his work on how brains develop. Like you, I had had no idea about this. Do you think that the speakers feel that the message that they are able to put across to such a huge audience is more important than the politics underlying the show? 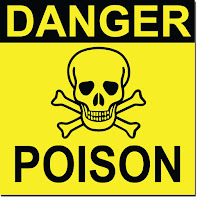 I like you will not want to help to grow the profits for this unethical company, but feel frustrated and disappointed to have to bypass what looks to be such a great event. Does spoon feeding predispose babies to obesity?